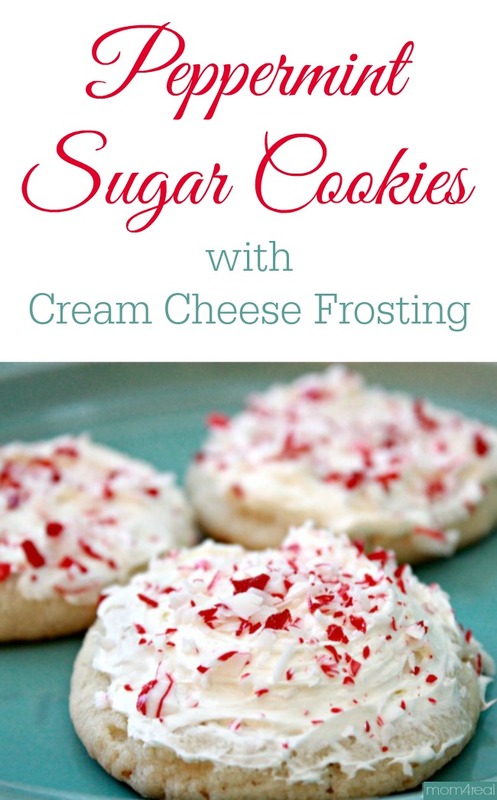 Once you have baked the break and bake sugar cookies (any brand should do), you simply spread on the frosting of your choice. 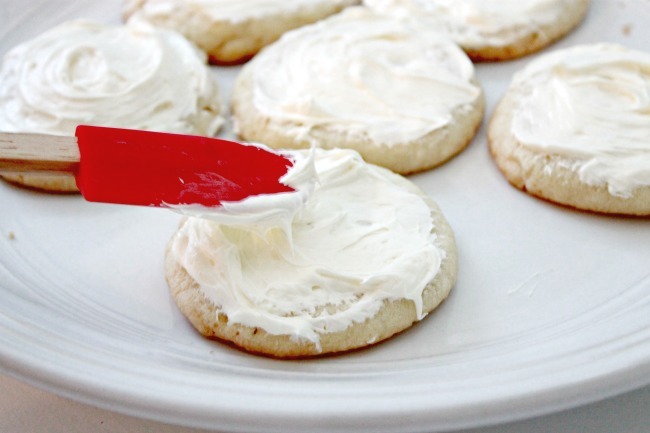 We chose cream cheese frosting because it is our favorite! 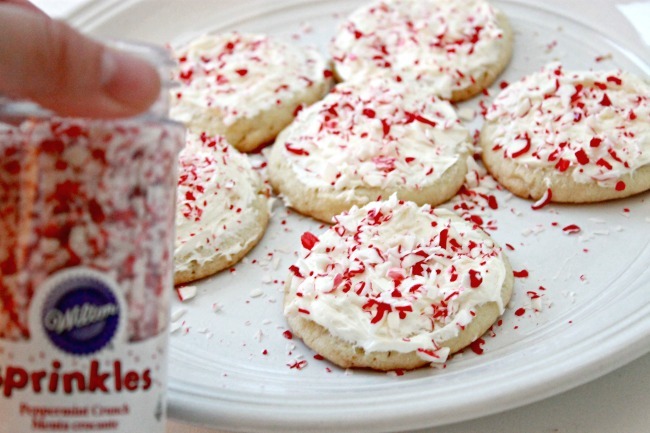 Next, we sprinkled on some crushed peppermint pieces. 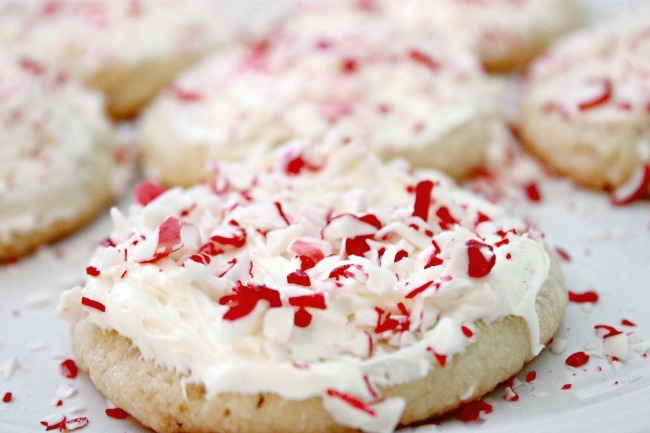 You can use any kind of sprinkles you like of course, but we LOVE peppermint! 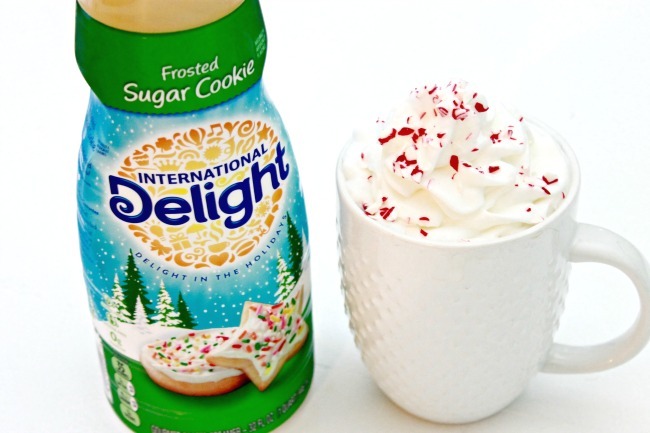 These particular cookies were inspired by International Delight’s new Frosted Sugar Cookie coffee creamer! It’s so delicious, and I knew I would want to have cookies while enjoying it! 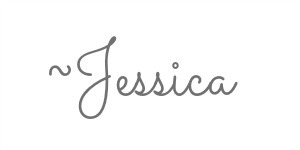 I was sooo right too! 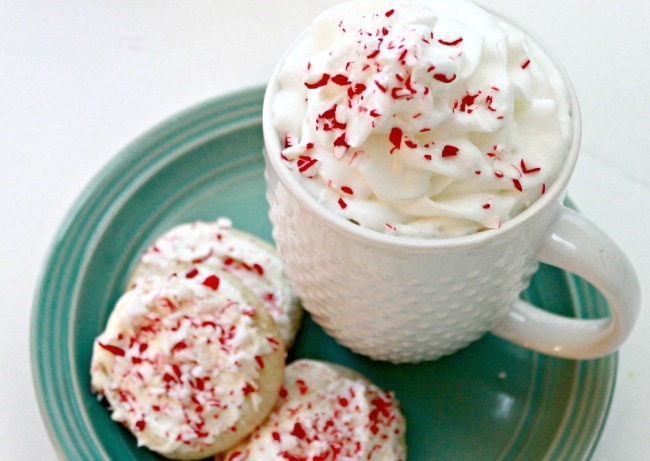 I may have had one or two cookies with my homemade Frosted Sugar Cookie Latte! « 12 Days Of Christmas Ornaments – Cinnamon Star and More!